The car lies wrecked and abandoned near the world's longest fence, the " rabbit " fence, in the wheat belt of Western Australia. Of its owner there is no sign. Has George Loftus simply decamped, for reasons of his own? Or is it a case of murder? Detective Inspector Bonaparte suspects the worst, and is determined to find the body - and the murderer. From 1937 we have this 'Bony' mystery. 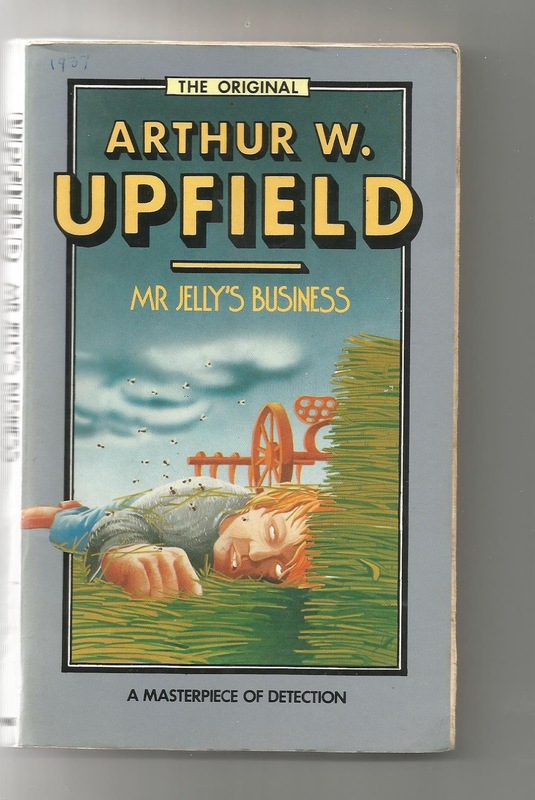 This is the first of this series I've read, although I saw the television series many years ago starring James Laurenson. Detective Inspector Napoleon Bonaparte is half Aboriginal / half European and a brilliant detective. The mixed race issue is a factor in the story, generally with abuse towards "black fellas"and I assume this was quite a punt having him as the main character in a series written in Australia between 1928 and 1964. This novel has two mysteries running in tandem which tie in beautifully at the end. The story is set rurally and centres around the small town pub and weekend dances that were a regular part of Australian and New Zealand life until not that long ago. 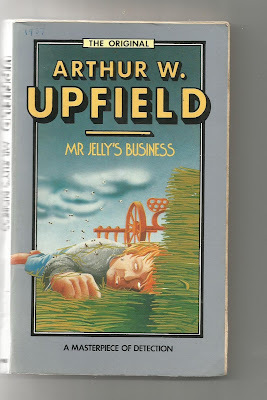 Initially Upfields writing took some getting used to, but once I got used to the cadence, I thoroughly enjoyed it,. There is good characterization for such a short story ( 177 pages) and a lot of humour. Recommended if you are into this genre.